What are chemtrails? Who is conducting the spraying? Is it possible that the program will end in 2015? If so , how will that happen? Peter Kirby (author of the book Chemtrails Exposed) presents his facts.He explains the origins of weather modification, ( history of chemtrails and geoengineering programs) , when they started, who's invention it was originally, what the programs efforts are all about, why they are spraying globally, and the gamut of the LIE. CHEMTRAILS KILL, but is this the original intent? 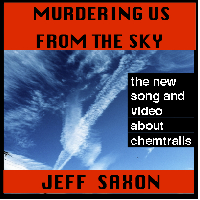 New Jersey singer/songwriter/guitarist Jeff Saxon, known for his catchy, emotionally-gripping, straight-from-the-heart songs, takes on the topic of chemtrails in "Murdering Us In The Sky". December 31, 2010, Beebe, Arkansas - after a series of small earthquakes and reported sonic booms, hundreds of red-winged blackbirds fall from the sky, dead. Miles away, 100,000 drum fish wash up on river banks. Over in Texas, Louisiana, and Kentucky similar reports of birds in the hundreds fall dead. Falkoping Sweden, the following Tuesday evening, 50 - 100 jackdaws fall dead. Chesapeake Bay, Maryland, millions of dead fish are found. Port Orange, Florida, dead fish are found in the thousands. Alabama, hundreds of grackle birds fall dead. On a Chicago lake shore, thousands of gizzard shad wash up. Over in England, off the coast of Kent, 40,000 devil crabs are found. Parangua, Brazil, 100 tons of fish wash up to shore. Geyserville, California, 100 starlings found dead by California Highway Patrol. Jacksonville, Florida, hundreds of Eastern Brown Pelicans are found either dead, sick, frost bitten, and some even missing wings. Labrador, Newfoundland, hundreds of dead harp seals beached over a period of weeks. Stockton, Wisconsin, a farmer finds over 200 cattle keeled over, dead. 7000 buffalo and cattle are reported to have died in Vietnam. Northern Portugal, thousands of octopi wash up dead. And last, but not least, December 31, Wilmington, Delaware, the body of John Wheeler III was found in a landfill. All of these incidents have happened within a three week period. Can we really write all of this off as mere coincidence? Before you do, let us take a brief look at some of the reasons given by government officials and mainstream media and weigh up the probabilities. Regarding the Arkansas bird deaths, it was reported that fireworks lit by Hispanics on New Year's Eve startled the birds to death. Just how large is the Latino population in Beebe, Arkansas? In Geyserville, California, it was reported that the 100 starlings ate fermented grapes and then committed suicide by flying into a truck. As a wine country resident, I happen to know that there are not any grapes on the vines in January. Also, where is the truck that hit them? A semi heading down the highway at 55-60 mph hitting a flock of birds would certainly make some sort of noticeable mess. Even the Audubon Society and the Utne Reader, as reputable and reliable as they are, have dismissed the phenomenon as something that happens all the time in nature. They even go so far as to say that the only reason we are viewing it as remarkable is because information travels fast in this day and age. What a disappointment from the bird experts. I'm terribly sorry, but the internet has been around for years, and I don't remember anything of the sort being reported of this magnitude in the past. What I can ask is when was the last time you saw a flock of birds or a swarm of bees? Has anyone heard any explanation about the marine life and fish? I have not. What I do know is that the largest environmental disaster in American history has had a series of repercussions. BP took a ridiculously long time to stop the oil flow, months to be exact. Then, even after an order from the EPA to stop using it, they sprayed a toxic dispersant called Corexit to break up the slicks. Unfortunately, all that did was cause the oil to sink to the bottom. As a result of that, the North Atlantic Drift has come to a halt, causing one of the coldest winters in history. The pelicans in Florida were reported to have lost their protective coating that prevents them from being water logged. Factor in the cold, and no wonder some of them were found sick. Would extreme cold cause crabs and octopi to wash up in Europe? Yes, that can be a possibility. It was reported that extreme cold was the cause of the buffaloes in Vietnam. I'm confused, as I thought that almost all of south East Asia was a tropical rainforest. One of things consistently reported, regarding the birds, was that the cause of death was blunt force trauma. Factor that with reports of sonic booms and earthquakes, and I can't help but think of military testing of scaler weapons, HAARP, and electromagnetic pulses. Drum fish are bottom feeders, an electromagnetic pulse would knock them up from the river bed. Take a moment, Google anything with the word electromagnetic, and the results are quite astonishing. Type in electromagnetic disturbance and everything from HAARP to cell phone towers comes up. Speaking of cell phone towers, have you ever wondered why you never really see a bird nest on top of one of those? There is even a handheld electromagnetic rifle, the technology is here. The majority of the birds fly together in flocks, making them an easy target to hit by an EMP. There are reports of the magnetic poles shifting, to the point where airport runways had to be renumbered. The magnetosphere has been reported as thinning, even cracked in some parts. There is even a theory that toxic clouds are caused by all of this. Some scientists have attributed this as the cause of the birds dying. We see a lot of peculiar lines in the sky that have caused us to ask, what exactly is it that they are spraying out of those planes? This writer recently discovered that there happens to be more than one HAARP facility, and that all of that activity is related directly to the ionosphere. Is it possible that our military is behind it all? We can at least speculate that they have a hand in it. But being that our Department of Defense is a web within a web, the chances of the general public being handed any truthful explanation are slim. Just who in the government would have this kind of inside knowledge? Someone with degrees from Yale, Harvard, and West Point would be allowed in that club. Someone on the Council of Foreign Relations would most definitely be trusted with that information. A former presidential aide during both Bush administrations and a special assistant to the Secretary of the Air Force would have this information. Who would have this resume? John Wheeler III, the man who was found dead in a Delaware landfill on New Year's Eve. That mystery is surrounded by a number of facts that force one to ask questions. On the evening of December 28, at 5:00pm, his Blackberry went dead. Then prior to 9:00pm, on December 30, he was seen walking around in winter, with no coat, and wearing only one shoe. Other security videos show him walking around completely confused and discombobulated. It has been well over three weeks and the toxicology report is still inconclusive. His body is now in the care of the Krienen-Griffith Funeral Home, with a lot still unanswered. Can there even be a crime scene? The garbage truck which dropped him off at the landfill picked up 10 different dumpsters before he was discovered. I for one am willing to rule out street crime as most Vietnam vets can handle themselves in sticky situations. It is pretty safe to assume that he murdered for some reason, and they wanted his body found. Was this a message to others in the know to keep quiet? Was he a whistle-blower? Is his death connected to the deaths of the various species? Unfortunately, without more information, we will never know. One thing that can be counted on, this story isn't going away anytime soon. There will be more sightings of mysterious animal deaths. Mankind has proven to be destructive with itself and the environment. As to how we can expect these incidents not to reflect on our future as a species, this writer's advice is to not turn a blind eye. As the days have gone on, the deaths has graduated to mammals, will it take a mysterious death of a crowd humans for you to pay attention? Former AZ state senator Karen Johnson brings our Chemtrails and geoengineering to her former colleagues that include Governor Jan Brewer... GOTO: http://www.arizonaskywatch.com/ - and check out the "Air Particulates Lab Reports"
BRITAIN: Researchers had expected high-level winds to disperse its contrails but instead they appeared to attract more clouds that continued to grow as they were blown southwards until eventually they formed a hazy high-level blanket of cirrus cloud across southeast England. "Studies show that, overall, the warming effect is stronger so aviation-induced clouds are helping to warm the planet," he said. if we are in a global WARMING, why are we trying to WARM the planet? 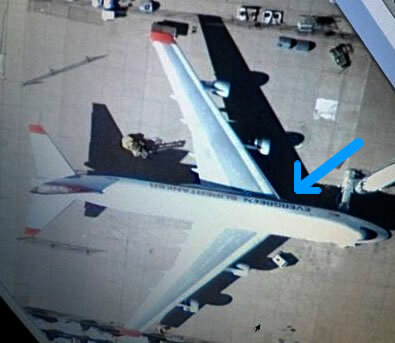 A range finder device has been used in the video to determine the flying altitude of the plane. The Carnicom Institute plans to host an international conference to invite discussion on the intentional and systematic biological and geophysical alteration of the planet. "The following is the work of long time chemtrail activist Louis Aubuchont of Parsonsfield, Maine (USA) and is based upon information originally from http://watchthesky.org/chems/chemdata.htm"
"... YOU ARE NOW BREATHING ETHYLENE DIBROMIDE, VIRALLY MUTATED MOLDS, NANO-PARTICULATES OF ALUMINUM AND BARIUM AND CATIONIC POLYMER FIBERS WITH UNIDENTIFIED BIO-ACTIVE MATERIAL"
Petition Stratospheric Aerosol Geoengineering Now!!! 1. Using a calorimeter with a constant heat exchange, we measured the heats and the isotherms of the adsorption of n-pentane and n-hexane vapors on barium sulfate. The differential heat of adsorption of the hydrocarbon vapors shows little change up to where half of the surface is filled, and then it gradually decreases with increase in the degree of filling, due to the heterogeneity of the crystallographic faces forming the surface of the barium sulfate crystals. 2. The standard thermodynamic characteristics of the adsorption of n-pentane and n-hexane on barium sulfate were determined, as well as the values of the areas occupied by these molecules in a dense monolayer. The entropy curves testify to the substantial reduction in the mobility of the n-alkane molecules in the adsorption layer on barium sulfate when compared with their mobility in a normal liquid. Nano-Fibers - "bounding filaments" "sub-micron interior filament network" - As a house for fungus spores and to collect-in while remaining airborne. Metallic particulates and "Functional protein crystals"
- "The culture flourishes in an acidic environment"
- Continual additions of acrid metals to the atmosphere will keep the ph within the right levels for Morgellons to flourish. - "Evidence of protothecosis and trypanosomiasis"
- "The Chlamydia-like organism identified within the human DNA sample"
- "It appears that the chlamydia-like organism ( a focal point of the biological research underway) can use the ferrous ion as a source of nourishment." "Show clear pathogenesis"
The fungal-pathogenic- nano fiber combination has been seems to be working-together like a system. - "an increase in the ion concentration of the growth medium has occurred as the culture matures." Ionospheric devices such as HAARP could very well be involved in order to "alter the growth cycles" or "start a growth cycle" or possibly "total control of the organism". - "It is reasonable to expect significant biochemical changes in conductivity or ion exchange within the human organism"
>>>Does this mean that the organism can couple with our DNA? "THE FACTS ARE: THE HIGHLY REFLECTIVE LINEAR CLOUDS CAN BE OBSERVED IN EVERY EXAMPLE WITHIN A 10 TO 20 MILE RADIUS OF THE RADAR LOCATION. WHICH MEANS THAT THE "PERSISTENT CONTRAILS" ARE WELL BELOW ELEVATIONS REQUIRED FOR CIRRUS CLOUDS OR CONTRAILS (30,000 ft.). THE TEMPERATURES AT THESE ELEVATIONS ARE TOO LOW REGARDLESS OF THE HUMIDITY LEVEL. WHICH MEANS THAT WHATEVER THE SPRAY IS COMPOSED OF IS FACTUALLY NOT WATER VAPOR from JET EXHAUST. THE SPRAY CAN BE OBSERVED IN THESE IMAGES DESCENDING UPON THE POPULATION BELOW. THE SPRAY IS BEING ABSORBED IN OUR LUNGS, SKIN, WATER AND FOOD." How does HAARP relate to Chemtrails? Lately a lot of independent reports have surfaced about chemtrails being present before electric phenomena and Earthquakes. Barium is just as dangerous as arsenic, mercury and lead. there is almost no awareness of it. The folks at the Bariumblues.com website have done us all a great service in presenting this information. 12 Aug 1975. Assignee: U.S. Secretary of the Navy. David B. Chang and I-Fu Shih, "Stratospheric Welsbach seeding for reduction of global warming"
David L Mitchell and William Finnegan, "Modification of Cirrus clouds to reduce global warming,"
New Scientist 1 Sep 2009. Eli Kintisch, "Bill Gates Funding Geoengineering Research"
Science Insider, 26 Jan 2010. (starting at about 35 mins.) 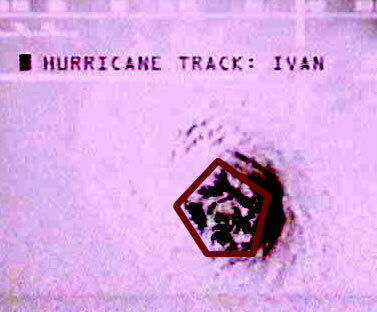 (29 May 2010) "Weather manipulation through contrail formation � is in place and fully operational"
10/08/10 - Big aerosol operation results in HAARP - by Martin Tfot Hand on FB Deborah Cohen and Philip Carter, "Conflicts of Interest: WHO and the pandemic 'flu conspiracies"
British Medical Journal 2010;340:c2912, 3 Jun 2010. Resolution 31/72, 10 Dec 1976, effective 1978. Geneva. Copenhagen Consensus Center, "Top economists recommend climate engineering," 4 Sep 2009. Weather Modification Association, "Position Statement on the Environmental Impact of Using Silver Iodides as a Cloud Seeding Agent"
United States Code, Title 50, Chapter 32, "Chemical and Biological Warfare Program." Stephen Cole, "Weather on Demand"
Monsignore Pizzafunghi Bosselese, "The History of Radar,"
Squires, P. & Smith, E. J., "The Artificial Stimulation of Precipitation by Means of Dry Ice"
Life Magazine, "Solution to Water Shortage: Rain makers' success shows how New York could fill its reservoirs"
p. 113, 20 Feb 1950. Life Magazine, "U.S. Water: We can supplement our outgrown sources at a price"
21 Aug 1950, p. 52. Jerry E. Smith, "Weather Warfare: The Military's Plan to Draft Mother Nature"
Adventures Unlimited Press, 2006. pp. 47-54. Ian O'Neill, "The Chinese Weather Manipulation Missile Olympics"
Unearthed documents suggest experiment triggered torrent that killed 35 in Devon disaster,"
The Guardian, 30 Aug 2001. World Meteorological Organization, "WMO Statement on Weather Modification"
"I was diagnosed with FMS 16 years ago, I hope this video will give you an insight into some of the symtoms to this debilitating illness. Most patients are female and although much more is now known about FMS, there is still so much more to learn." - Enter patent number `5003186` and hit `search`. William Thomas: Stolen Skies, October 2001. - http://www.ipcc.ch; - See `Report on Aviation and Global Atmosphere`. - See chapter on `Artificial Weather`. 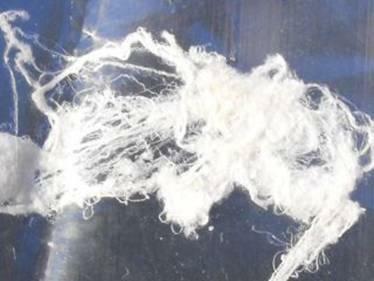 - What purpose do polymer threads imbedded with biological material serve in this scenario? Rense.com - Click on article `Sky scum`. 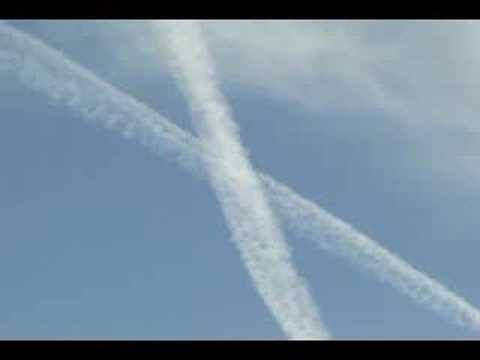 CHEMTRAIL BRAINWASHING FOR KIDS BY NATIONAL GEOGRAPHIC! "In the Associated Press they did a report that over 41 million people are exposed to pharmaceutical drugs in TREATED drinking water." "A recent great tree blog got me thinking again, about another subject I had set off to the side for a later date, I planned on doing this tree blog for over a year, but kept putting it off, every time I go hiking I'm reminded of this subject, it is another tough topic, tired of the scoffers and deniers of reality I just kept away from the chemtrails and contrails issues. I recently stood on a 10,000ft ridge by Lake of the Woods in Wyoming looking out over the Wind River Range North slopes, the dead and dying trees were painful for me to see, recognizing a dying forest and wondering why, I have hiked here off and on since 1976, another blog about the White Bark Pines caused me to dig out these old files and go to work. Here is what I think is harming the worlds trees, not just America's." "Look for chemwebs on the grass, tree branches, 20ft chemwebs falling from the sky and fast moving chemballs. "Plausible deniability" can apply to any act that leaves little or no evidence of wrongdoing or abuse. Weather modification and recording its effects in Paducah Ky. I started it one mourning when I walked out to go to work and seen Highly defined CHEMTRAILS over the streets of Broadway and 16th & Jefferson at 6:38AM THUR. 11/03/05. The CHEMTRAILS lasted all day. They grouped 6 together and were separated by a couple of blocks apart running east to west as far as the eye could see. About 7-10000 ft up. I knew about it happening on the west coast due too my research into global gov relating to the police state in the U.S. However, never experienced it myself only seen videos." * A comprehensive documentary preview ~ "detected chemicals"